Read articles written by very well-known personalities and eminent authors about Bhoodan Movement on the sixtieth anniversary of the Bhoodan Revolution. Rates of subscription for students of any Indian or foreign university would be 40 per cent of the general rates given above. All payments should be made through Local Cheque/Demand Draft in favour of Director, Gandhi Smriti & Dashan Samiti, payable at New Delhi. The year 2011 marks the sixtieth anniversary of the Bhoodan Revolution started on 18th April, 1951 in a village in Andhra Pradesh when an incident turned instantaneously into a revolution. Majority of the nation’s population was landless. A few had control over all the land. As a result, within few years of Independence, the result of the handful of landed people controlling the rest, had become evident. The landed and landless were coming into conflict in a village in Andhra Pradesh. Some violent incidents also took place. In this region, the group trying to resolve matters of land through violent means was active. In this scenario, people found hope in Vinoba Bhave. Vinoba was chosen by Mahatma Gandhi as the first Satyagrahi in the Individual Satyagraha initiated in 1940. After all, what had Gandhiji seen in this man called Vinayak? This question has to be seen in the context of the multitudes that were Gandhi’s followers and disciples at that time. The first Satyagraha of the Individual Satyagrahi was initiated on 17th October, 1940. It is important to recall that Pandit Jawahar Lal Nehru was the second Satyagrahi. Gandhiji declared Vinayak as the first Satyagrahi and also gave him the name ‘Vinoba’. This is the first instance that drew everybody’s attention to Vinoba. Vinobaji continued to work in Gandhiji’s Constructive Programmes. After Gandhiji’s death, his disciples saw hope in Vinoba. The Telangana region of Andhra Pradesh was under the effect of violent incidents on the issue of Land. The ‘Sarvodaya Samaj’ also decided to hold its conference in the Shivrampalli village of this region. In addition, they requested Vinobaji to attend and grace their conference. Vinobaji started on foot to be a part of this conference. On his way, he met people, shared their worries and woes. He also heeded their views on contemporary society, nation and the world scenario. On returning from this conference, the landless dalit villagers of Pochampalli village demanded some land while talking to him. Vinobaji asked the villagers for potential solutions to their issues. Ramchandra Reddy of that village suggested that 100 acres of land be given as ‘daan’ to them. Acharya Vinoba contemplated deeply on this suggestion and gave it the shape of a principle. In this novel incident, he saw the resolution of the impending turmoil facing the entire nation in the near future. It was no longer relevant here whether Ramchandra Reddy had given this land to accord democratic rights to the landless people, or merely to fulfill his own father’s wishes. Inspired by this incident, Gandhiji’s spiritual disciple, Acharya Vinoba assessed the importance of ‘daan’/ (offering) in the Indian consciousness and planned ‘Bhoodan’ and began to visit different parts of the country to realize this vision. It must be noted that Acharya Vinoba did not try to first formulate a principle through intellectual discourse, to be applied to reality later. Instead, he took the learning from a real incident and transformed it into a principle. In this, he saw Pochampalli village as representative soul of the entire nation. Vinoba single-handedly and relentlessly pursued this understanding of India; people kept joining him, and it became a movement. Gradually, the movement took over the entire nation. It needs to be stressed that Acharya Vinoba saw people’s tendency to ‘daan’ as more prominent than their greed and selfishness. Besides this, he also knew that sooner or later, people who had accumulated land would distribute to those who were landless. He always kept in mind the lesson of his teacher Mahatma Gandhi, “Earth has enough to fulfill everyone’s need, but not to fulfill even one’s greed.” To fulfill everyone’s need meant everyone having land, especially those who rely on agriculture for livelihood. 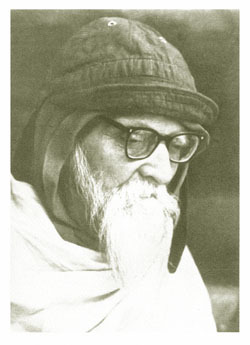 Acharya Vinoba opined that everyone had a right to land. He believed in a phrase that ‘Sabai bhoomi Gopal ki’, i.e., All the land belongs to Him (God). The Bhoodan Revolution was strengthened by the support of youth. Land was substantially donated. The next phase of this movement was Gramdan. Acharya Vinoba and Jaiprakash Narayan expanded the horizons of the Bhoodan Movement and elaborated its many aspects to turn it into a complete philosophy. The Bhoodan Revolution, termed Bhoodan Yagya by Vinobaji, was severely criticized too. In response to that, Jaiprakash Narayan had written an article titled ‘Samagr Ahimsak Kranti ka pehla sopan: Bhoodan’. In this, JP said that “even the Law hasn’t been as successful in the issue of land divisions as Bhoodan had been. Nehruji was the Prime Minister. He wrote countless letters to the Chief Ministers of different States of the country regarding the ‘Hadbandi’ law. Several circulars went on behalf of the Planning Commission. Many Socialist and Communist movements also focussed on this issue. Even then, in 25 years of Swaraj, the land distributed through Bhoodan is much more than that by the processes of Law itself. Have you ever asked as to how much has been distributed to landless people through the Hadbandi law? I am not talking about the land owned and administered by the Government. Instead, I am inquiring about the land distributed by landed owners to landless people under this law. Through this perspective, a mere 8000 acres of land had been accorded through law in Gujarat, of which around 6000 acres had been distributed; whereas 50,000 acres has already been distributed through Bhoodan. Under this law in Maharashtra, around 1.25 lakh acres of land has been declared received, of which not even 25,000 acres had been distributed; as opposed to 3.6 lakh acres distributed to landless people through Bhoodan. People go about saying that people have received sandy, rocky and infertile land in Bhoodan, but has anyone bothered to check and validate the actual fact of these claims? All the land that was distributed, was later reviewed and declared as suitable for farming. At present, many critical discussions and arguments are taking place regarding this issue of land. Despite this, even today, land has not been justifiably distributed in our country. Most of the land is owned and controlled by few people, and the larger part of the population remains landless. The present understanding of progress has rendered this question and its associated problems even more serious. In the past few years, violent instances around occupation of land and forests have also taken place. The question of forests is linked to that of land. The migration and displacement happened in the name of progress destroys forest-land as well as the culture and practices of people who inhabit those areas. The lure of this progress has resulted in making our relationship with earth a merely commercial one. As a result, the entire world is under the threat of environmental degradation. Many intellectuals of the world have been contemplating on this issue. The Russian author Tolstoy wrote a story on land. In this story, he raised the question of how much land does a man need, after all? In the beginning of the 20th century, Madhavrao Sapre wrote a story titled ‘Ek tokri bhar mitti’, which depicted the issue of forceful land occupation by zamindars. On similar themes, stories titled ‘Garib ki Haaye’ and ‘Balidaan’ were penned by eminent Hindi writer, Premchand. On the occasion of the sixtieth anniversary of Bhoodan, this issue has collated articles related to the ideology of Bhoodan-Gramdan, and various aspects of its philosophy. Along with this, it also presents the experiences of those who participated in Bhoodan Movement along with Acharya Vinoba. This issue also has sketches that depict the limits of this movement. Besides these, a historical reading of land laws and beliefs associated with land, and articles demonstrating Mahatma Gandhi’s and Dr. Ambedkar’s intellectual views on the matter are included. We hope that through this issue, the Bhoodan movement would be remembered and the present-day problems of land would be understood in its context. We would assess the success of this attempt through your letters and comments. We shall await your opinion.